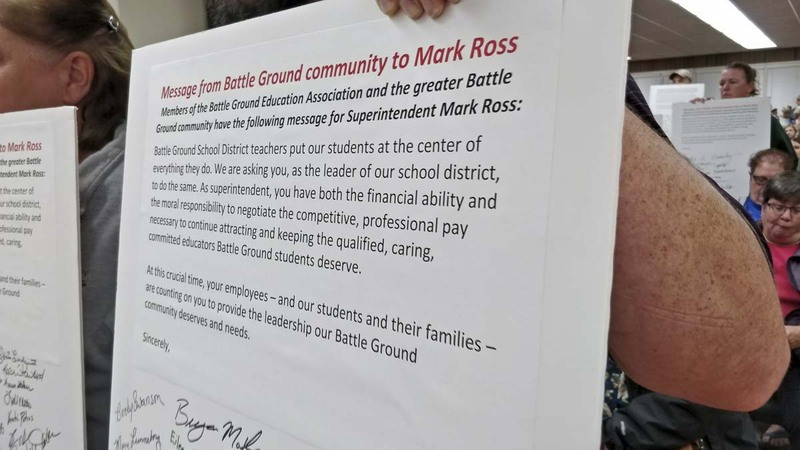 BATTLE GROUND — An obviously nervous Battle Ground School District Board of Directors held a special meeting Wednesday night to vote in favor of taking their teachers to court. The district and the Battle Ground Education Association (BGEA) have been at loggerheads since before the school year was scheduled to start. 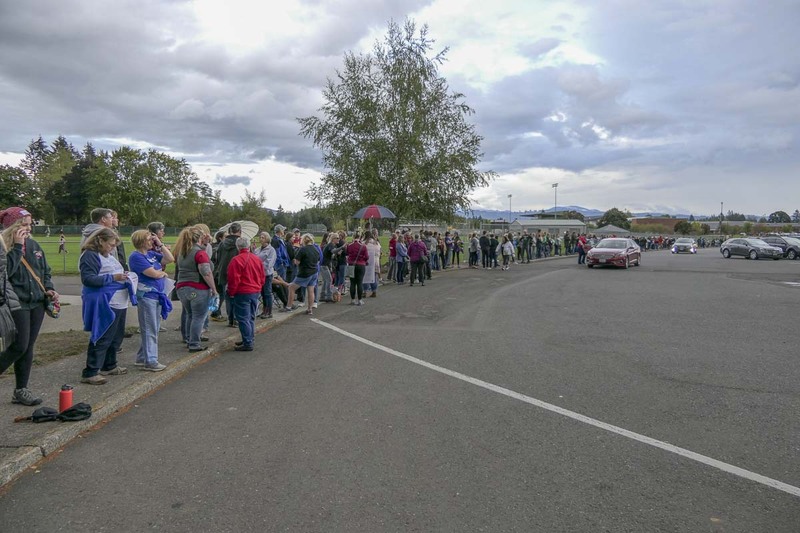 With all other Clark County school districts long since settled and back to class, Battle Ground has become something of a poster child for the dysfunction in the wake of the legislature’s McCleary funding fix. Hundreds of teachers, parents, and students lined the road to Lewisville Intermediate campus, holding signs demanding Superintendent Mark Ross resign, and that the district pay the teachers what they’re asking. In front of a packed house, and with heavy security, the board voted 4-0 in favor of a resolution that will empower Superintendent Mark Ross to engage the services of a law firm. 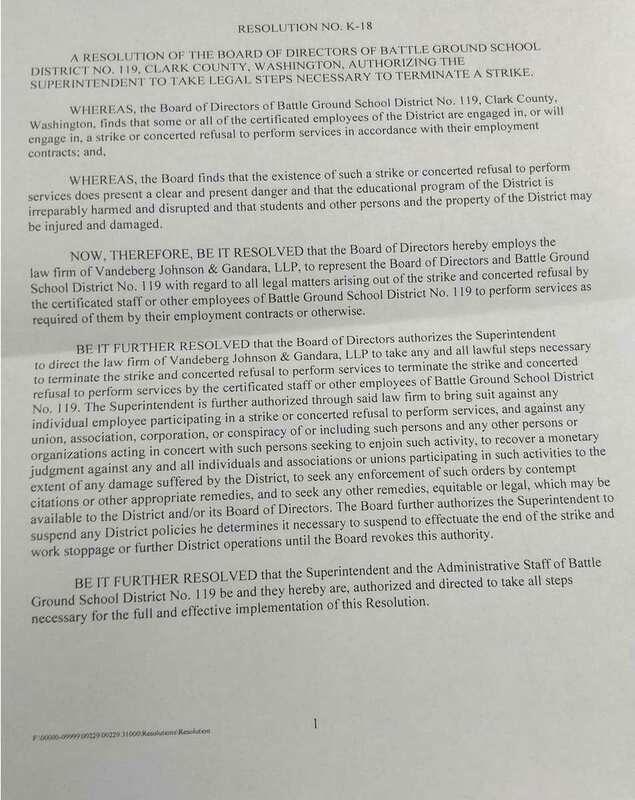 The goal would be to ask a Clark County judge to agree that a continued work stoppage would present a “clear and present danger” and that the teachers’ strike creates “irreparable harm” to the district’s educational program. Monty Anderson, who was acting as board president in the absence of Ken Root, said rumors that school administration had asked for the resolution to seek an injunction were untrue. After the meeting, district Superintendent Mark Ross spent about 15 minutes answering questions from the media. He was asked what has made Battle Ground such a tough nut to crack when it comes to getting a deal done. Ross says giving teachers what they’re asking for will likely mean cutting some of those unfunded positions. Even if the union takes the offer currently on the table, Ross says their budget shows they’ll be about $8 million in the hole within two years. As for the idea that some of the 108 unfunded staff Battle Ground currently pays out of the local levy might be cut in order to pay the rest of the teachers, Heinz says the state needs to update its prototypical model so that districts can fill more funded teaching positions. On Sunday, the district announced that it was asking the state’s Public Employee Relations Council to perform a Fact Finding — essentially a third party who can comb through the numbers and issue a non-binding opinion about whether the district can actually afford to give the teachers what they want. Ross says they had hoped to meet with the fact finder Wednesday or Thursday, but the BGEA lawyer asked for more time, so the meeting was delayed until Monday. It was at that point the board said they decided to try and force the start of the school year while negotiations continue. 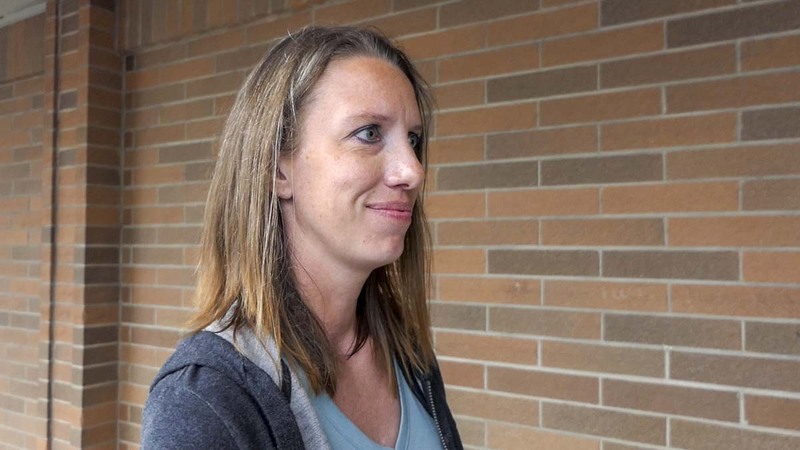 So far classes in Battle Ground have only officially been canceled through Thursday, but it’s likely that, should the district win a court injunction, the earliest a judge would order teachers to return to work would be Monday. 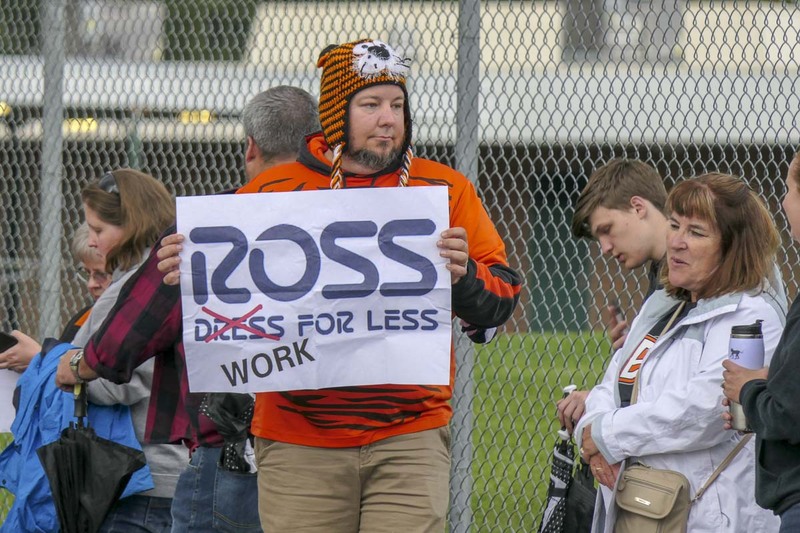 Ross says, from there, it’s anyone’s guess how many teachers would choose to actually show up. “You can’t just put all the kids in a gym and say we’re going to operate school,” says Ross, adding that the state requires a sufficient amount of teachers in order to provide the necessary services of the district. So essentially it would be a day-to-day thing, to see if enough teachers show up to actually hold classes. Heinz couldn’t say whether teachers would or wouldn’t obey a judge’s order. Doing so could result in a contempt of court charge, though teachers seem to think it’s unlikely that anyone defying the order would actually be charged or arrested. One issue raised by several people at Monday’s school board meeting was a suspiciously large amount of new money applied to Supplies and Materials, as well as Purchased Services. 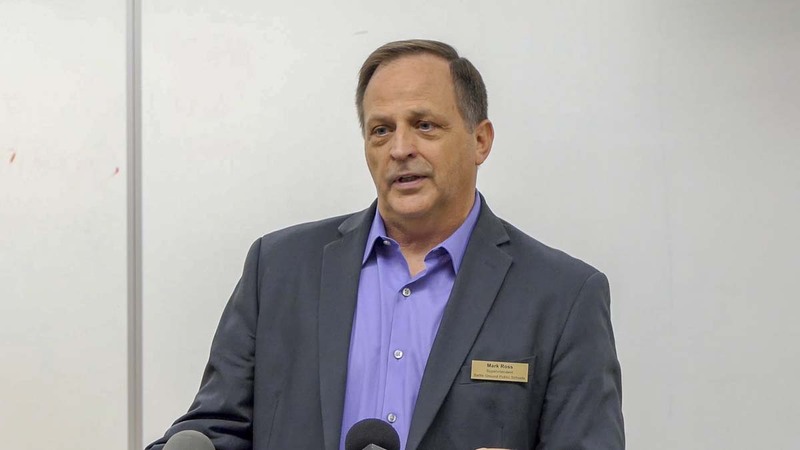 The information released by the district shows around $9 million added to those two items in this year’s budget, but doesn’t detail what the increase is for. Ross didn’t respond directly to those questions, but said their budget is open for the Fact Finder to examine. It’s not clear what would happen to any money left over from those items if the district ultimately doesn’t end up spending it. The intimation from the union and some citizens has been that this could be a way for the district to pad its rainy day fund without putting the money directly into that line of the budget. The union and the district remain about eight percent, or around $8.4 million apart in their proposals. The district’s latest offering was 11.6 percent, which they said would represent an average teacher salary of $74,043 next year, with a starting wage of around $47,000, and a top end above $91,000. The union has not released their demands publicly, but has not denied the district’s reports that their ask is for a 19.4 percent raise over next year.